This entry was posted in Recovery & Support and tagged Addiction, College, Social Media on December 30, 2016 by Jacquelyn Ekern, MS, LPC. When the University of Maryland researchers looked at students abstaining from media, students reported in the same terms as associated with drug and alcohol addictions, withdrawal symptoms, intense cravings, significant anxiety and antsy feeling. Students reported thoughts in ‘vivid detail,’ anxiety attacks, and depression [1, 2]. Students reported that they were unwilling and unable to function without social media and technology . At the College Park Campus, a study titled, 24 Hours: Unplugged, over 200 students were asked to give up all media for 24 hours. Students reported that going without media was like going without personal connections, without friends and family . Researchers in this study concluded that students may have identified wrongly that it was not missing social media, but was the social connections it gave them, and that the addiction is to social ties, both friendships and relationships . Researchers state that too often students compare themselves to other successful peers which is exacerbated by social media which highlights the extreme positive and successful moments . Social Media on College Campuses and Addiction are becoming an alarming issue. College students who are on facebook are twice as likely to be more involved on campus activities and social media users are twice as likely to feel popular. Nearly 48% of users think they are sadder than their friends and a facebook addiction is searched 350 times more often than cigarette addiction. Updating facebook profiles boosts students self-esteem more than looking in a mirror, and 85% of students who use Facebook work less than five hours a week compared to 80% of students who don’t use Facebook work more than 16 hours a week . The University of Wisconsin-Madison and the University of Washington, Seattle, looked at the facebook profiles of more than 300 undergraduate students from both Universities. The researchers divided the profiles into three categories: those that had no alcohol references; those that had alcohol references, but no references to intoxication or problem drinking; and those that included references to ‘being drunk,’ ‘getting wasted,’ or other problem drinking behaviors. The researchers included the profile owners to complete an online version of the Alcohol Use Disorders Identification Test or AUDIT, which measures problem drinking clinically, and score of 8 or higher indicates a person is at risk for problem drinking. Researchers found that underage college students who talked about dangerous drinking habits, such as intoxication, or blacking out, were more likely to have AUDIT scores that indicate problem drinking or an alcohol-related injury. The researchers also found that underage college students frequently display references to alcohol on social media . In 2014, the National Survey of Campus Counseling Centers (NSCCC) looked at 275 two and four year schools and found that 94% of campus counseling center directors said they were continuing to see an increase in students with severe psychological problems. Of the students seen by the counselors in this study, 52% had severe psychological problems, which is higher than the 44% in 2013 study. Most directors reported seeing an increase in students with anxiety, crisis management, medication issues, clinical depression, learining disabilityies, sexcual assualt, self-harm and injury [6, 7]. 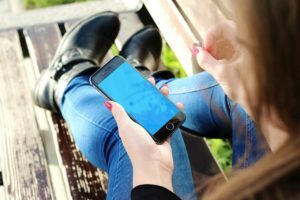 Social Media on College Campuses and Addiction are increasing, and further studies are being conducted to look at the effects of social media on addictions as well as social media as an addiction. One previous 7 year study of over 43,000 students published in the Journal of American College Health showed that some schools have characteristics associated with worse mental health. Schools that have doctorate programs, public institutions, and schools with a large enrollment and commuter schools rank as less competitive than those with lower graduation rates were linked with students who had decreased mental health . According to the NSCCC in 2014, 64% of students who utilized the counseling center reported sessions ‘helping their academic performance’ and 65% said counseling kept them in school. This report found that having a counseling center on campus is very important to students and healthy mental health and overall well-being is associated with academic success . In conclusion, the majority of college students have instant and constant access to technology and social media. 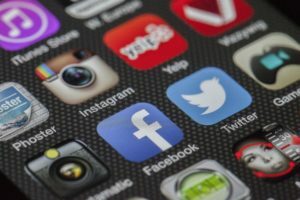 It is addicting to most students who may feel as if the internet and social media are their friends and family connections to the outside world. Using social media and technology is about how to best manage it and be mindful and present in your daily life and academic studies. How do you find social media on college campuses? Do you feel that this is an addiction for most college students?